We partner with like-minded organizations dedicated to improving overall health and wellness in our local community and throughout the world. Roundup River Ranch offers an old-fashioned, pure fun camp experience for children with serious illnesses and their families. 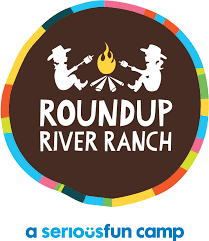 DiaResQ supports Roundup River Ranch to ensure that no child or family member misses a day of fun due to an episode of diarrhea. Look out for our DiaResQ volunteers at the 2018 summer camps! We’ve partnered up with Project C.U.R.E. for our Equity of Access Initiative in Guatemala and Mexico with more projects on the horizon. Together we’re making sure that those in need have access to our breakthrough nutritional product, DiaResQ. The B Strong Ride is a fundraising event celebrating cancer survivorship that works to fund a complete year of cancer care at the Center for Integrative Care at Boulder Community Health and also benefits the George Karl Foundation. We are a proud sponsor of the B Strong Ride for many years and continue to support the cause throughout the years and beyond the event.